There is a reason why humans sleep. Weird things happen in that crucial time between sunset and sunrise. The average human being’s basic requirement for sleep becomes much more apparent after attending an event which requires participants to remain awake throughout the entirety of the night whilst being blasted with various forms of bizarre multimedia and performance-based art. Ill-Advised Night Out was the third annual You Are Here sleepover held at the Canberra Museum and Arts Gallery. Created by a wide range of artists and organisers, including the ANU Experimental Music Studio, Robbie Karmel, Hannaka Johnson and Luke Jaaniste, this year’s Ill-Advised Night Out was a multimedia sensory overload. Many Canberran locals can recall those random Saturday nights where the evening lurched its way from dance and techno music at Toast or Mooseheads to karaoke at Transit Bar or PJ’s, where the too enthusiastic guy-from-the-corner-of-the-room busted out an unbearably long version of ‘American Pie’ that seemed to extend way beyond its actual nine minute duration. In a tribute to those painful memories, between 12am and 3am, the theatrette played host to Karaoke of Cruelty, in which Paul Heslin cut-and-pasted random lines of popular karaoke tracks on repeat, while a confused participant trumpeted sections of the edited track: again, again, and again. At one point in the evening, participants were treated to a lacerated version of Haddaway’s ‘What is Love?’ which lasted little over half an hour. Between 3am and 6am, the night really got going and also stopped going anywhere; as the theatrette melded into a hazy loop of slow, throbbing high-volume trance, the participants huddled around a 45 inch television screen playing edited reruns of Rage. It was like being inside a living, breathing déjà vu. A highlight of the evening was the Wha Wha Room, which consisted of an animated doorman who escorted participants up to a suggestively styled condo. Once there, a barman greeted participants with 70’s-themed cocktails of watermelon juice adorned with little fluro straws. Participants were then treated to a randomly selected, short, but titillating cabaret performance which was, simply put, very funny. Some of the performances were a little out of place. The sculptural art-making experiment which documented participants in their manipulation of an ever-evolving sculptural bust, didn’t fit in with the “Night on the Town” theme. However, the event lived up to its reputation of weirdness and absurdity and, because of that, it was a roaring success and arguably one of the standout pieces of the You Are Here Festival. 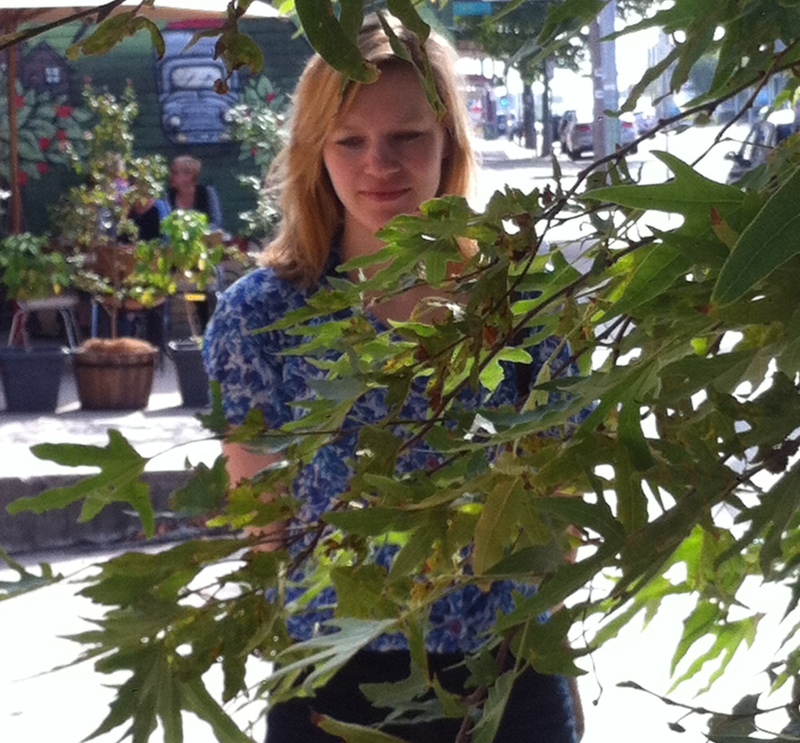 Rosy Listing is a writer/arts reviewer/lawyer from Canberra. She finished her arts degree majoring in art history at ANU, and her law degree whilst studying in England and at Sydney University. She is a lawyer by day, and practices writing by night. A self-confessed art enthusiast, Rosy has written for arts publications MusiqueArt – a street magazine in Sydney, and the academic publication – Art Antiquity and Law. She currently hones her writing and reviewing skills through online blogs and by reviewing local arts events around Canberra.